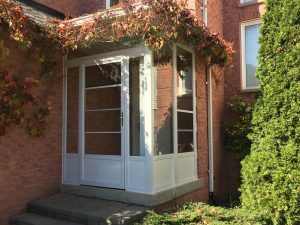 With porch enclosures, the days of poorly insulated and drafty entry doors are quickly coming to an end with the popularity of the insulated steel door. 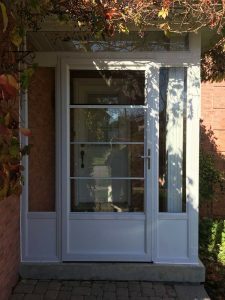 Steel door manufacturers maintain that a storm door is not necessary and even go as far as voiding their warranty if one is installed. 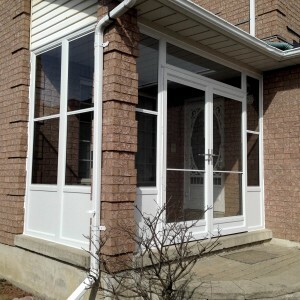 People still crave the ability to open their doors to screen and glass. 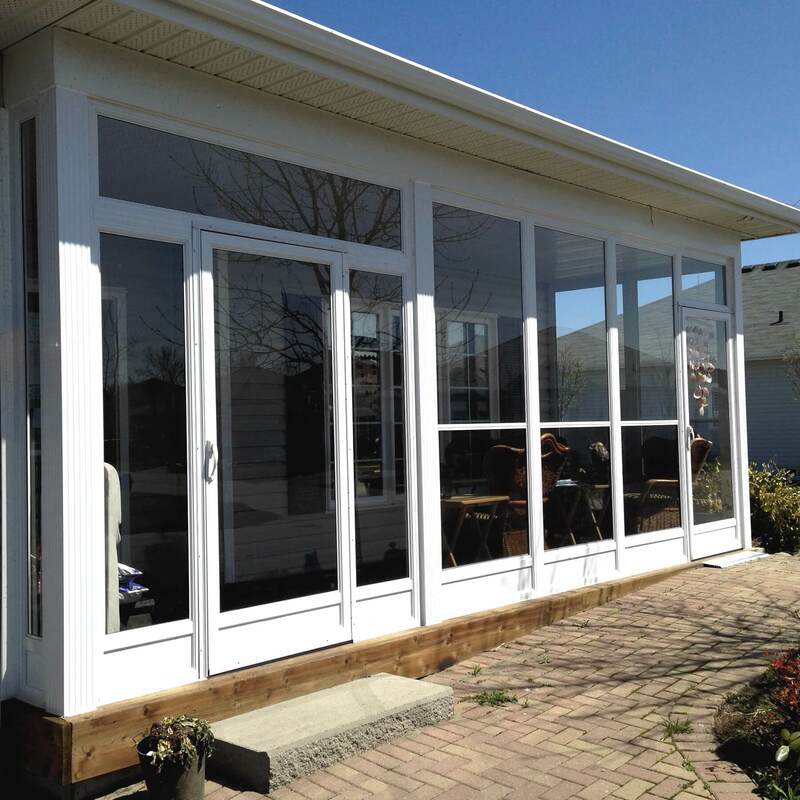 People still want fresh summer air with no annoying bugs and protection from the harsh winter weather! 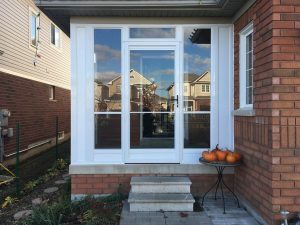 Entrance enclosures and porch enclosures provide all the benefits a storm door gives and much much more, without voiding the steel door warranty! See our full gallery of Sunrooms and Porch Enclosures here.